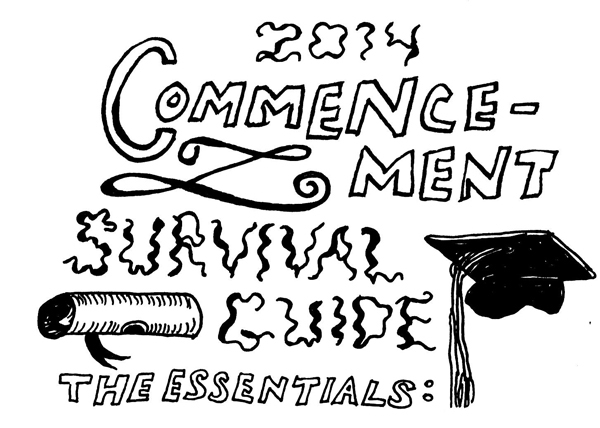 Check out Cartoonist Beck Levy’s 2014 Commencement survival guide and learn which essentials you’ll need to have during the ceremony on May 17th. In this week’s comic strip, Cartoonist Beck Levy describes what the classroom slang word “Mario” means. Beck Levy writes a letter to her fellow white classmates to start a conversation about what it means to be a white anti-racist. 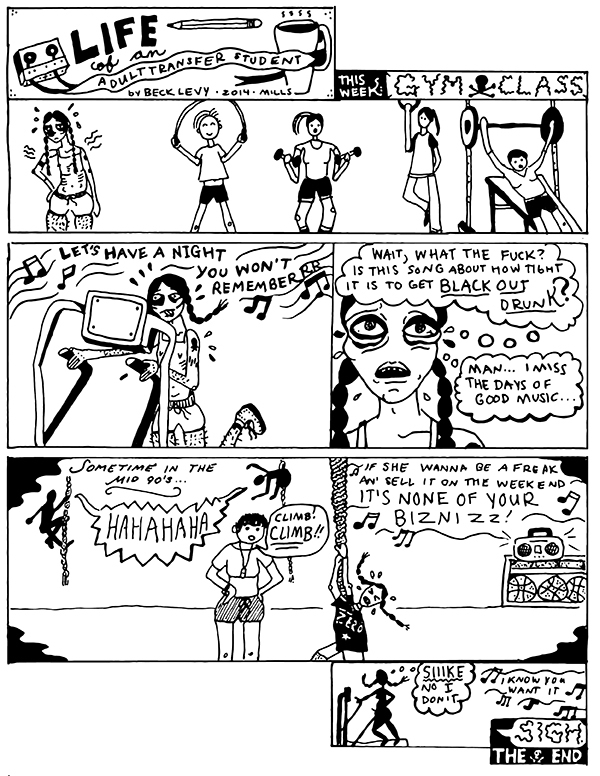 Cartoonist Beck Levy has something to say about being an adult transfer student going to a gym class. Megan March, Mills music alumna ’05, is a multi-instrumental artist who plays in multiple punk bands. 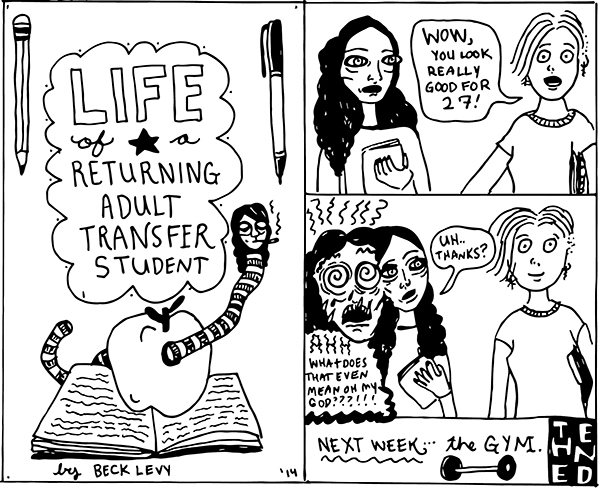 In this week’s comic strip, Beck Levy introduces us into the life of a returning adult transfer student. 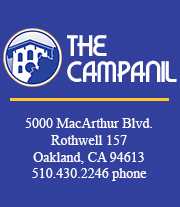 Beck Levy is a contributing comic artist and writer for The Campanil. 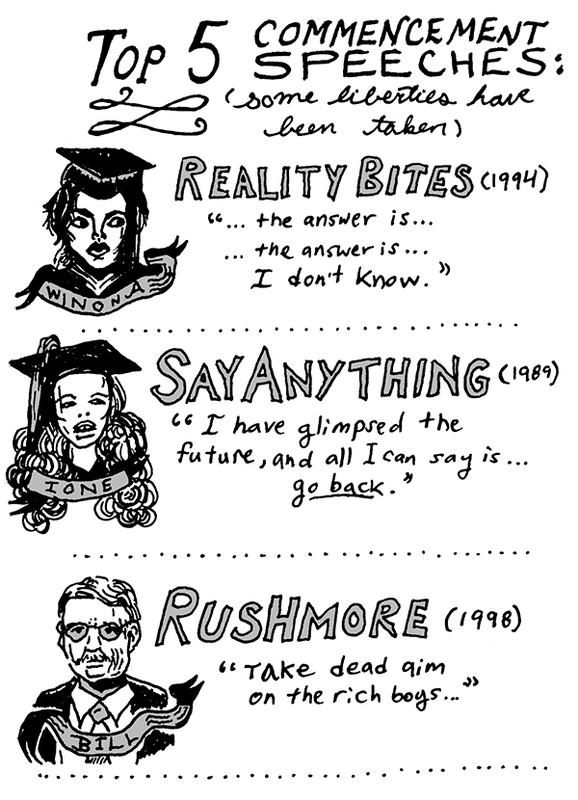 For more of her illustrations, check out her personal website http://becklevy.com/.